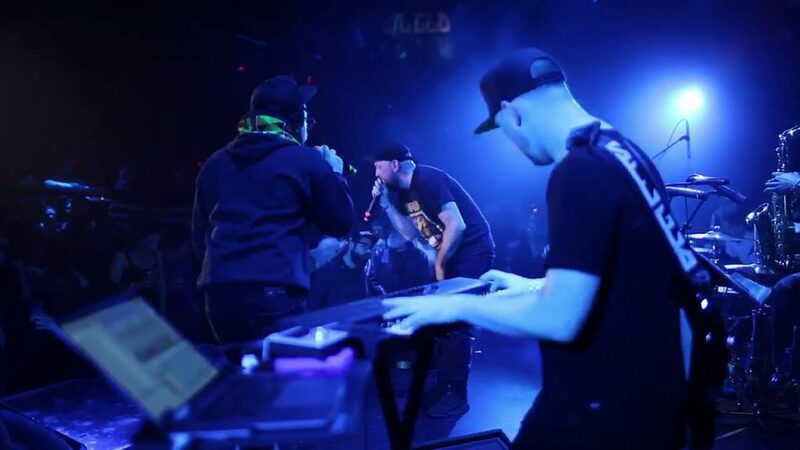 Hip-hop group STL GLD (pronounced “Still Gold”) has become a staple in the Boston music scene in recent years. Their sophomore project “The Torch Song” was named “Album Of The Year” at the 2017 Boston Music Awards, and in 2018 they capitalized on that honor by taking home “Live Artist Of The Year” thanks to their uniquely captivating performances. After years of struggling to land gigs in Boston because of the stigma connected to hip-hop, Moe Pope and his band took home “Live Artist Of The Year” for 2018 at the most prestigious music award ceremony in New England. In other words, he and his band single-handedly fought to lift that stigma by perfecting their craft and becoming incredibly talented live performers, proving that live hip-hop can be an elite form of entertainment. STL GLD didn’t drop any full-length projects in 2018 but they released a few singles and continued to move crowds in New England and beyond, sharing a stage with Eminem, The Roots, and Khalid. Moe Pope also teamed up with another Boston producer, Lightfoot Beats, to form Childhood Love Stories. Their debut “CHLS” is available everywhere. The album’s features shed light on the amount of talent in the Boston area. Boston’s Ghost GRL, Oompa, Will Dailey, Latrell James, Deon Chase, Ab Soarin, and Cliff Notez all had notable appearances, as well as Claire Whall from Framingham. Features outside of Massachusetts came from New York legends Heltah Skeltah, fellow New Yorkers Jared Evan and Nina Lee, and Georgia-born Berklee graduate Julia Easterlin. As he often does, Moe Pope speaks on the current political climate and the challenges it presents. As someone who grew up poor in Roxbury and spent a lot of time taking in his surroundings and trying to make sense of everything he saw, his perspective is extremely important. Listen to “The New Normal” as soon as you can.